Its not compulsory (although important) to buy an insurance for your life but its compulsory COMPULSORY to buy insurance for your car & automobile. You need to buy the car insurance even before you get the delivery of your new car & then you have to renew your car insurance every year. Usually new buyers do not take seriously about the car insurance and they go along what their dealer recommends. 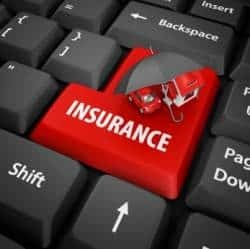 However it is better to do some online research about the plans & policies of various insurance providers so that you can buy the best plan as per your requirement and budget. 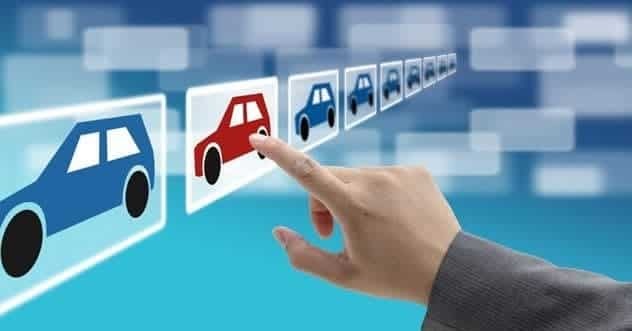 So in this article we decided to write almost everything about buying a car insurance online rather than buying from an dealer/agent so that you can get the best deal. What are you going to do? Buy online or buy from an agent/dealer! 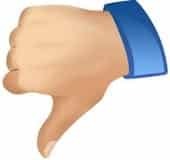 Again every product comes with its disadvantages and advantages. Some people like buying online and some would like a local agent. However, according to my experience buying online is better than buying from an agent or a dealer. Why I say so? I have found out that when you are buying car insurance from an agent/dealer he tries to push the product on you because he just want to make some commission. All these agents have same thing to say about their product. But when you buy online on your own taking your time, you read everything about the insurance plan. You read fine prints, every term and conditions that an agent would have preferred to skip. The aggregator allows you to compare all the insurance plans of all the companies so you can choose one of them. However there is caveat while buying online. You have to be very educated about the car insurance plans and have some background. A new buyer can’t buy online and he might need an agent. As I said buying online is not for someone who is buying for the first time. But if you are a first timer then you have to keep certain things in your mind because there isn’t any agent around you. Reputed Company – Always buy the insurance plan from a well known company with a large network of customer care in your city. If you want to enquire more about the plan then you can do it by walking into their office. Filing Claims – If there is a problem and you are filing a claim then you can’t do it online. You have to go to their office and talk to them. So always buy from a company that has a reputation. All Your Information – Enter all the information correctly so you get the most accurate quotes and there isn’t any problem or rejection when you file the claim. Read Everything – Always read the terms and conditions and fine prints before your submit the form. How to Choose a Right Plan? Whether you choose your plan online or from agent, basics remains the same. So what kind of insurance plan would you like to go for? There are few general things that you need to consider before you take a final call. As you know there are 3 types of car insurance i.e. third party liability coverage, collision coverage and comprehensive coverage. You can choose one of them according to your needs. Liability Coverage Limit – Before deciding anything else you got to make your mind on what limit for liability coverage you are going to set. More the limit better the coverage is. Evaluate Your Coverage – Comprehensive or Collision. Look into your coverage. You must have enough liability coverage in case of accidents and other damages. Do you want comprehensive coverage or collision coverage? What Your Deductable should be? – While choosing a plan set your deductable right. It depends upon your driving skills. A higher deductable means lower premium but pay more when there is an accident. 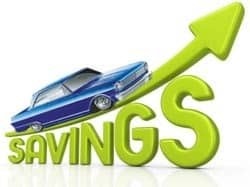 Cost of the Car – An insurance plan must depend upon the type of car you own, cheap one or luxurious. Compare Insurance Quotes – We talk about this in great details in next to next paragraph. So these were some brief points to keep in mind before buying a plan. Choosing a right plan has nothing to do with the fact that you are buying online or from an agent. Again lowering your premium has nothing to do with whether you buy insurance online or offline. So we are going to keep it simple. Compare Premiums Online Aggregators – You find out online by comparing quotes of hundreds of insurer and choose the best one. Pay More Deductibles – You can pay deductibles voluntary. Pay for small damages from your pocket and reduce the premium rates. No-Claim Bonus – NCB is a great way to reduce your premium up to 50%. Companies give you benefit of NCB because of your good driving record. Do Not Cover Accessories – There isn’t any need to cover add-ons and other accessories. Discount on Security Features – You can install anti theft features and get a discount of 2% to 5% on your premiums from your insurer. 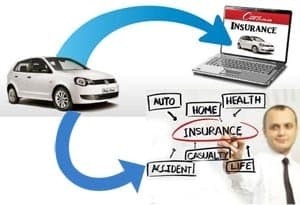 How to Compare the Insurance Plan Online? You must know to use an online aggregator for comparing quotes and all the features. Comparing Quotes – Fill basic information and compare all the quotes of all the insurers. You can also view plans of each insurer in great details. Review Plans – There are many sites where you can search in Google that give you the best comparison for plans from all insurance providers. You can review the plans in details. Sort them by Features – Then you can compare which insurer is offering what. Look out the features that an insurer has to offer and select according to your need. View Differences – You can also view differences in features of different insurers. Review plans of the entire top insurer in the aggregator. You can choose the company who is covering everything and asking for the low premium. If you want you can directly buy the insurance from the insurance company once you finalize a company. I want to be honest so I also need to show you the other side of the picture. Buying an insurance plan online comes with few disadvantages as well. You might not know about discounts and special offers because they are possible only when you are buying from an agent. If you are buying from the dealer, they will help you for a cashless settlement so that you don’t have to run after the company to settle the claims. Sometimes you receive better quotes from agent rather online. So always compare the online prices with your agent/dealer as well. 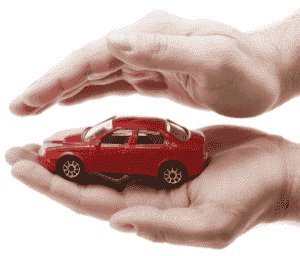 So these were few things that you need to take care of before you buy a car insurance online. I like your tip to review and compare the plans online. Most websites have a quote generator or a representative that can give you a quote now, so it can be really easy to find what you are looking for. When you have all the information in front of you it’s really easy to see what works best.